I just don’t know what to believe anymore. 1. The pyramids of Giza were built by slaves. Contrary to popular belief, slaves were not forced to build the pyramids in Egypt. Excavated tombs near the pyramids support the theory that they were paid Egyptian laborers, who took great pride in their work and serving the pharaoh. 2. Emperor Nero played the fiddle while he watched Rome burn. According to Tacitus, a historian at the time, Nero was not actually in Rome when the fire broke out, he was in his villa in Antium (about 30 miles away). When Nero heard about the fire he rushed back to Rome to organize relief efforts. Also, it would have been impossible for Nero to have played the fiddle; it did not exist at the time. 3. People during the Middle Ages had a low life expectancy. While life expectancy in the Middle Ages was low, it did not mean that people died of old age in their thirties and forties. People actually lived well into their sixties. 4. The Vikings wore horns on their helmets. There is no evidence that Vikings wore horns on their helmets during battles. Our modern image of Vikings wearing horned helmets originates from an 1876 production of the opera Der Ring des Nibelungen. The costume designer, Carl Emil Doepler, created horned helmets for the Viking characters for use in the production. 5. Marco Polo introduced pasta to Italy. The story goes that Marco Polo brought back pasta from his travels to China. Most historians agree that Arabs introduced pasta to Italy in the late 7th century, during their conquest of Sicily. This was almost 600 years before Marco Polo was born. 6. Christopher Columbus proved that the Earth was round. Educated Europeans at the time knew that the Earth was spherical, in fact it had been known since at least since the time of Aristotle. The reason Columbus had a hard time getting support for his voyage was because scholars at the time disagreed with his estimate of the distance to India. Columbus believed the size of the Earth was much smaller. 7. Pilgrims wore all black, and their hats had a buckle on them. Pilgrims did not wear all wear black clothing with square white collars and cuffs. Their fashion was actually based on the late Elizabethan era, and they wore bright, solid colors (reds, greens, yellows, and purples). They also didn’t wear buckles on their hats (called capotains), shoes, or waists. The image we associate with Pilgrims was actually created in the 19th century, when buckles became a kind of emblem of quaintness. 8. The Salem witch trials lead to people being burned at the stake. The Salem witch trials of 1692 led to the arrests of 150 men and women, of whom 31 were tried and 20 were sentenced to death. While 20 people were executed, none of them were burned at the stake. Nineteen of the victims were hanged, while one was crushed to death under heavy stones, in a method known as peine forte et dure. 9. Napoleon Bonaparte was unusually short. 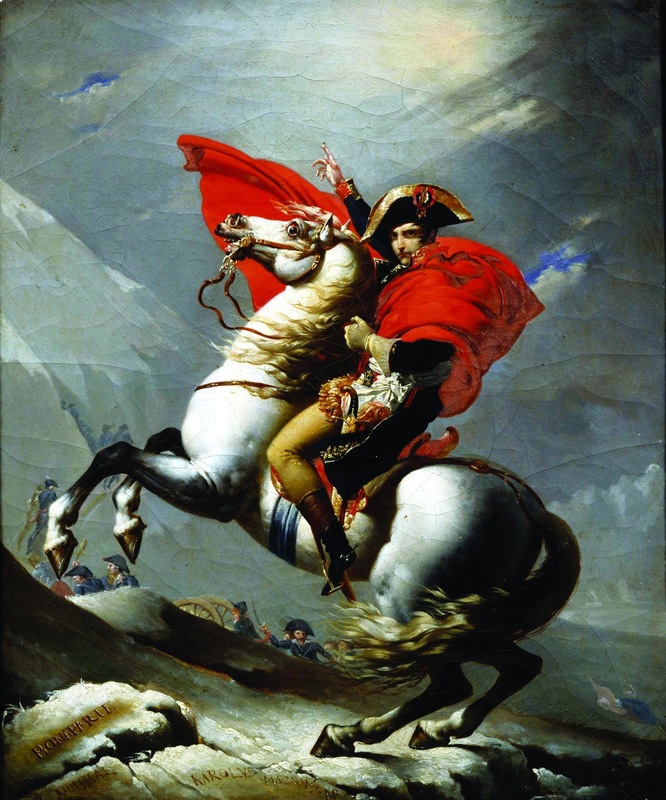 Napoleon’s official height was 5'7", which was above average height for the time period. The reason for the confusion about his height stems from the difference in measuring systems between Britain and France at the time. French inches were longer than Britain’s imperial inches. His French height was recorded as 5'2", however Britain never adjusted for the difference. It is unlikely that Rousseau could be writing about Marie Antoinette, as she was only 10 years old when his book was written in 1765. 11. Van Gogh sliced off his ear. The infamous story goes that in 1888, Dutch painter Vincent van Gogh, suffering from severe depression, cut off his left ear with a razor, wrapped it in a newspaper and then handed it to a prostitute named Rachel. The reality is that he didn’t slice off his entire ear, just a portion of his left lobe. Some historians, though, believe that Van Gogh actually lost part of his ear in a fight with his friend, the French artist Paul Gauguin. 12. Mrs. O'Leary's cow kicking over a lantern started the Great Chicago Fire. A story published in the Chicago Republican stated that Mrs. O’Leary was milking a cow in her barn and that the cow kicked over the lamp, which caused the fire. While the fire did begin in her barn, Mrs. O'Leary always maintained that her entire family was asleep in the house when it started. Years later, in 1893, Michael Ahern, the reporter who wrote the story, admitted he had made it up.